Dental Implant Dentist in San Antonio – What are My Dental Implant Options? If you have lost a tooth due to injury, disease or any other circumstance, finding a dental implant dentist might be your best option. A dental implant is an artificial tooth made of titanium metal that’s inserted into your jawbone to replace the root of your natural tooth. Implants can be costly, but considering you could pay a greater, long-term cost if you fail to address the issue, they are worth the investment. If you’re in San Antonio and considering your dental implant options, keep these tips in mind. Related Article: Affordable Dental Implants: Fact or Urban Legend? If you are in good health, have healthy gums and a solid enough jawbone to hold an implant, then you’re a good candidate for a dental implant. If you are looking to replace a missing or damaged tooth, you can get an implant fitted with a crown. An exam, imaging, and answering medical history questions are required in the initial stages. Then, your implant will be implemented, either with or without a built-in connector (abutment) which will attach to the replacement tooth. Should you need multiple replacements; a similar process will take place. Temporary teeth can be placed while your implants integrate with your natural bone to form a strong foundation for your replacements. Connectors will then be placed, connecting your replacement teeth to the top of each implant. Additionally, there will be a placement of an implant-supported bridge or crowns to round it off. Related Article: Tooth Replacement Options: What’s Right for You? A full mouth implant is also possible for those who need it. This is an apt alternative to getting dentures and keeps your teeth looking as natural and attractive as possible. After initial examinations and consultation, you can get your implants and replacement teeth fitted, with connectors placed on or built into the top of the implants. An implant-supported fixed bridge or overdenture can also be placed. There are various ways to get dental implants. There are Immediate Load Implants, also known as same day implants that allow a temporary tooth or crown to be placed during the same appointment as your dental implant placement. That implant depends on stability and fuses with your natural bone, with the long-term crown implanted three or six months later. This procedure is only advised if you have sufficient natural bone and an implant that is strong enough to support immediate placement. As an alternative, you can have mini or small diameter implants installed. These implants, which can be up to three millimeters in diameter (regular implants are up to six millimeters), are placed with less invasive techniques. They are used to secure a completely lower denture and are used on patients who don’t qualify for traditional implant treatment. One more potential option is the All-On-4 treatment. This is where a full arch is placed to either the top or bottom set of teeth, with four dental implants used to stabilize your replacement teeth. Implants are placed in the available bone, eliminating the need for bone grafting. While gum tissues heal, however, you will have to go on a diet for a few months. The final bridge is implemented after six months. This type of treatment requires several appointments. The best dental implant dentist in San Antonio, Dr. Skrobanek, and his team of experts will make sure all your dental implant needs are taken care of. 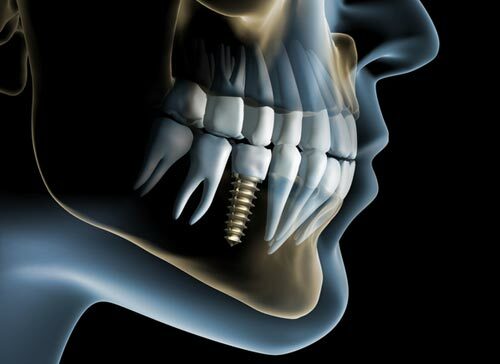 We can recommend the most suitable procedure and ensure the absolute success of your dental implant. Dr. Gary P. Skrobanek is a dental implant dentist and his experienced, friendly team at GPS Dental offer affordable family dentistry and gentle dental care in the San Antonio, TX area. Our Brooks City Base dentist office is conveniently located and offers early morning appointment times Monday through Friday to meet your needs. At GPS Dental, we provide most dental services, from family and general dentistry to dental implants, sleep apnea, TMJ / TMD Treatment, cosmetic dentistry and much more. We accept most dental insurance plans and offer affordable financial solutions for any budget. Call us at (210) 633-3477 to make an appointment.